Over the past few months, Apple has been preparing itself for product launches later in the year by registering several new iPads, iPhones, and Macs with the Eurasian Economic Commission. The filings are legally required for any products that include encryption features and are to be sold in Armenia, Belarus, Kazakhstan, Kyrgyzstan, and Russia, making them good indicators of products coming down the line. Earlier in July, Apple registered five tablet models, including A1876, A1934, A1979, A2013 and A2014, but today Consomac discovered recent authorization for two new tablets: A1895 and A1980. Most of these are expected to be models of Apple's 2018 refresh of the iPad Pro. Later this year we're expected to see a major update to the iPad Pro with design elements from the iPhone X, like slimmer bezels, faster processor, and a TrueDepth front-facing camera with Face ID support. This means that the 2018 iPad Pro models are also expected to drop support for the home button for the first time on Apple's line of tablets. 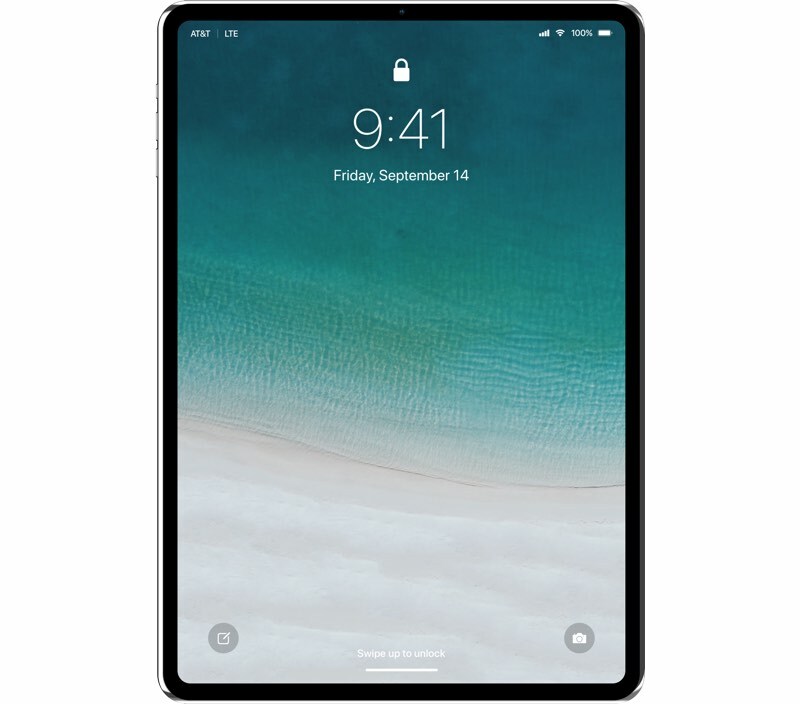 The 2018 iPad Pro refresh is predicted to come in two sizes, measuring 11 inches and 12.9 inches, according to recent report by Apple analyst Ming-Chi Kuo. With two size tiers and a Wi-Fi, Wi-Fi + Cellular, and potentially a special Cellular model for China, there would be just one model number left over from the seven EEC filings. While this could be an additional model of the iPad Pro we don't yet know about, it could also relate to a model of iPad not in the Pro family, including the iPad mini 5. A rumor from May 2017 suggested the mini lineup was being discontinued, but over a year later Apple has yet to officially make such a commitment to ending the line. Consomac's other findings relate to model numbers previously reported, including 11 model numbers for smartphones and five model numbers for laptops, two of which we now know were the 13-inch and 15-inch MacBook Pro with Touch Bar refresh launched yesterday. For MacBook, this leaves three other models with a potential launch in 2018, perhaps indicating cheaper, entry-level MacBooks without the Touch Bar. Today's filings also include 11 existing iPhone models listed as running iOS 12, including the iPhone SE and iPhone X, two devices Apple has been rumored to possibly be discontinuing with the release of the new lineup. It's unclear, however, if their inclusion is confirmation that Apple will continue selling them. Of course, it's difficult to obtain any information based solely on model numbers, so at this point those looking forward to new iPads and iPhones this year can at least know that the devices are a few months away. I really hope this is a mini 5. I'm a pilot and the mini is the perfect size to mount on the yoke of an aircraft... the other models are just too big. It is also the perfect size and aspect ratio to hold an approach plate. The whole pilot community here is carrying around iPad mini 4s and I'm sure we'd all like to see an upgrade. iPad mini 5... is that you? I’m hoping for a new Mini. It’s the *perfect* size for travelling. Apple is seriously rolling out some hardware this year. I realize aviation is a tiny, tiny market and Apple will never release a product just for pilots, but iPad adoption was fast and widespread in this community (exceedingly high market share for iPad specifically). Probably more so than any other group I can think of. I'm still using a Mini 2 which is just crawling along... but I can't bear to upgrade to a 4 until I know for sure a 5 is never coming. Even outside the cockpit it's the perfect size for reading, in my opinion. I hope they don’t drop the iPad Mini. It’s the ideal size for reading eBooks. For the love of God Apple, just release them. I want one now. Come on Apple, release the mini 5!! Funny you should say that, I posted my Mini 4 for sale not long ago and it was quickly purchased by a pilot haha. An edge-to-edge 7.9" iPad would be freakin' sweet. So portable.